Resizing a box…. This is not a fancy skill, but it’s a useful one, and one that I have made use of thousands of times over the years. 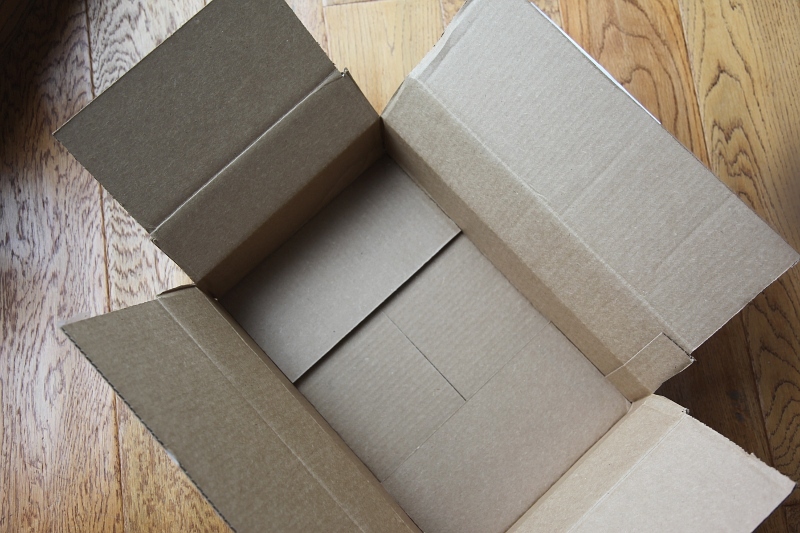 Even for those of you who only do occasional shipping, this technique of sizing down a box can come in quite handy. 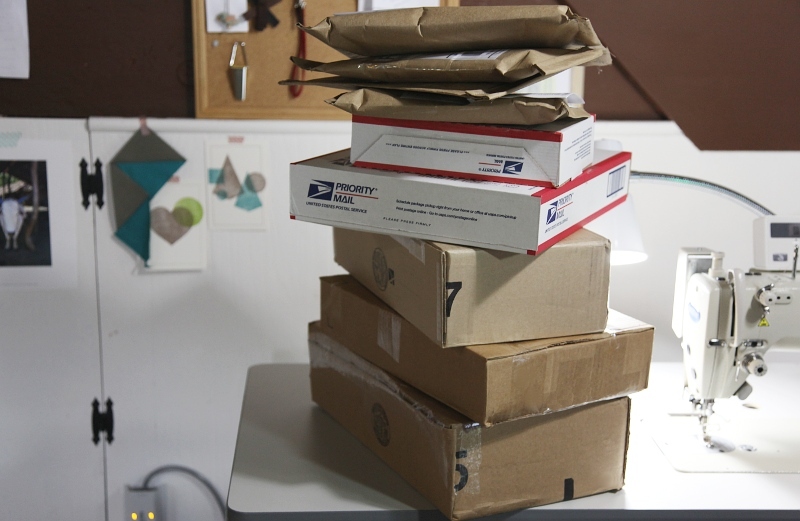 It allows you to use the shipping method of your choice (with no Priority Mail box restrictions), to reuse a box that might otherwise be discarded, to make use of resources that are plentiful and free, and to ship more affordably – as your box will weigh less and you won’t have to fill it with fluff to keep things from banging around in transit. 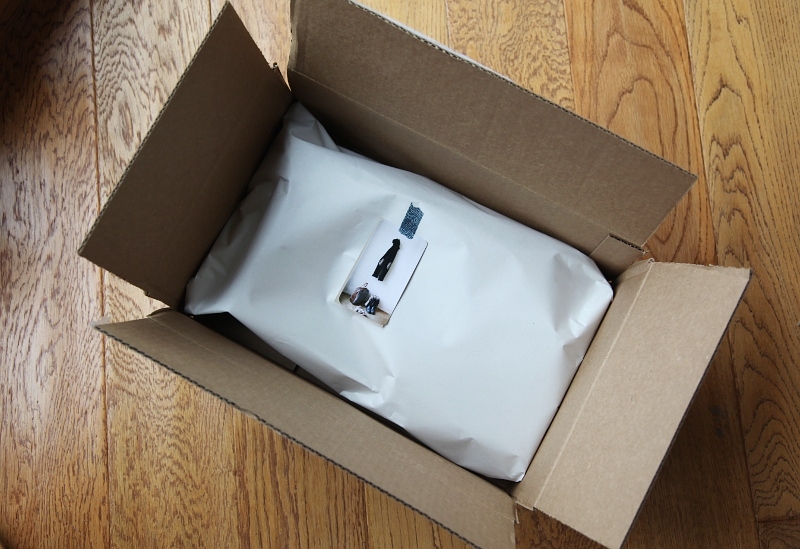 Sometimes shipping costs also depend on size, particularly when shipping overseas. 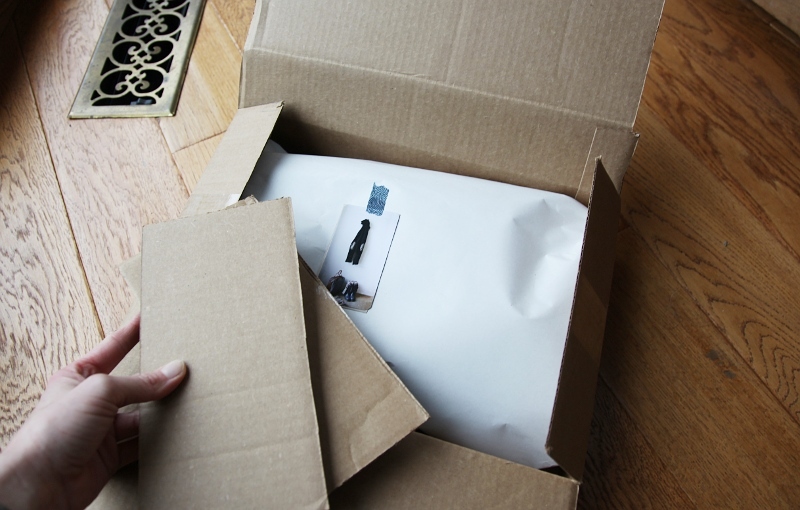 Find a box that the item will fit in, lengthwise and widthwise. This box happened to be a perfect fit in those directions, but was twice the height I needed. 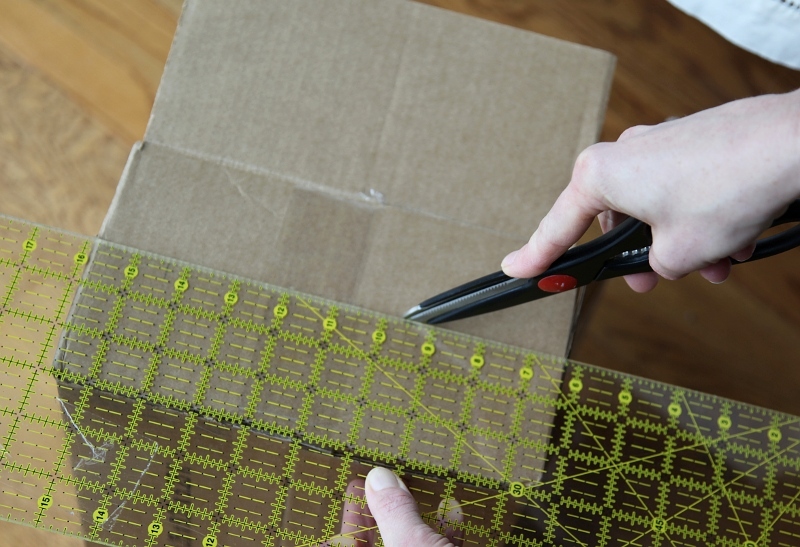 You will also need a yard stick, or ruler that is long enough to span your box’s longest edge, and a pair of scissors. Snip one corner of the box, down to just above the level of the top of the item. 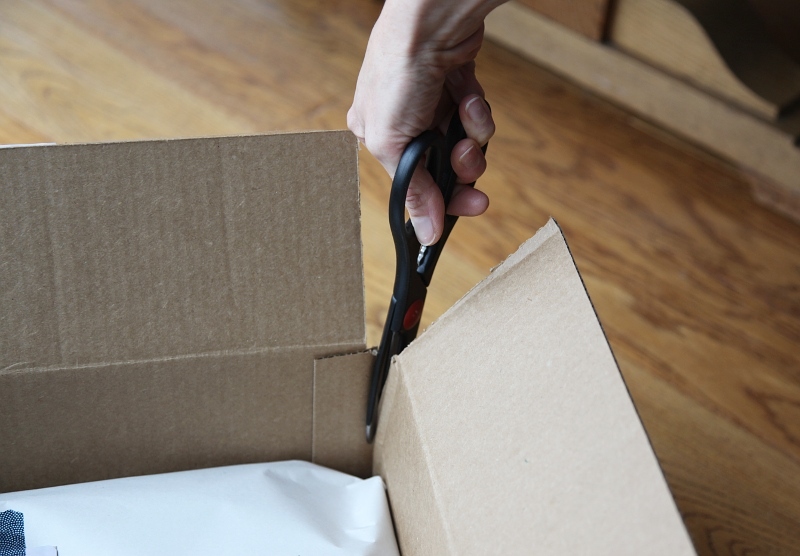 Empty the box, and with a straight edge, hold a level line across the side, using the bottom of your snip as your guide. 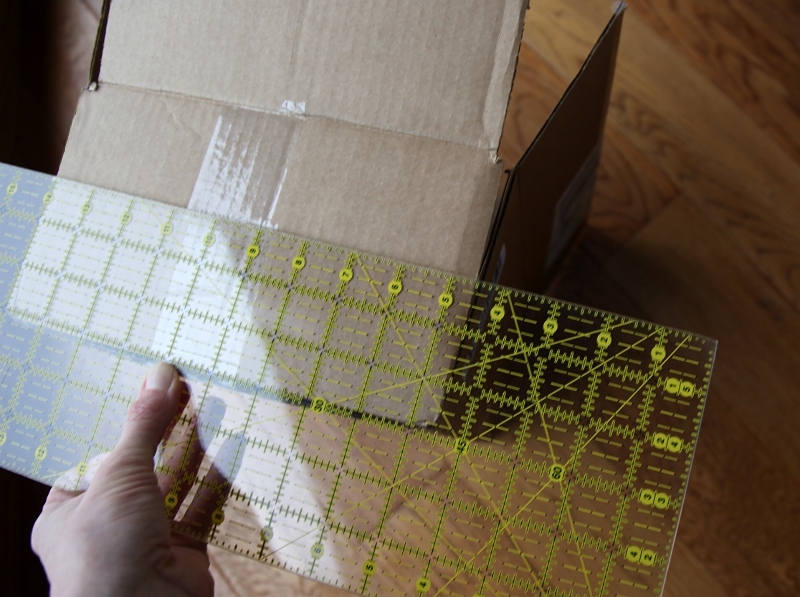 If you don’t have a ruler with width, such as this one – or if the distance to be shortened is longer than your ruler width, measure the distance between the bottom of the box and the bottom of the snip, and make a mark on each edge. These marks will act as a guide, which will allow you to get a truly level line. Score a line with the smooth side of your scissors. You don’t want to cut into the box at all, just dent it. Now measure and score on the remaining three sides, being sure to keep the distance from the bottom the same all the way around so you don’t end up with a wonky box. Snip the remaining three corners down to your score line. Bend the now longer flaps outward on your score lines. I usually bend outward first, as there is less resistance when bent toward the scored side. Once you do this, your flaps should easily bend inward. 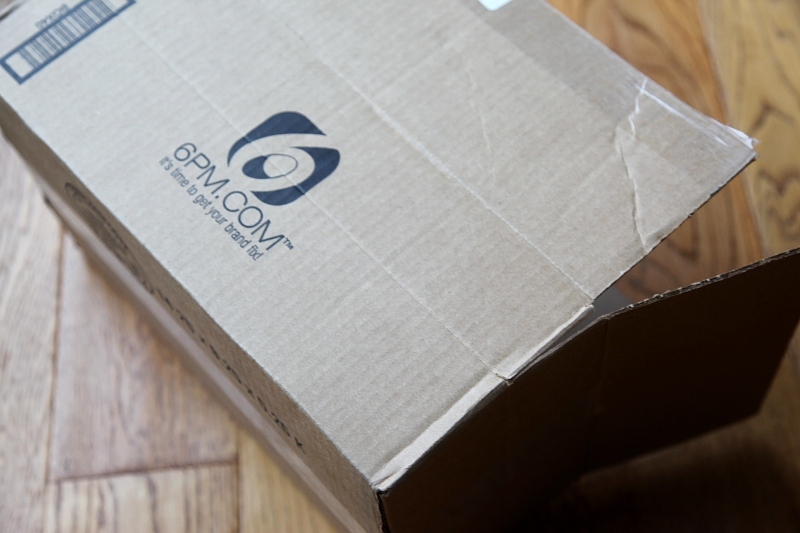 Put the item back inside, and try out your new box. Now you can snip the excess from the flaps. Make sure to leave enough on the top flaps, so that there is full coverage. 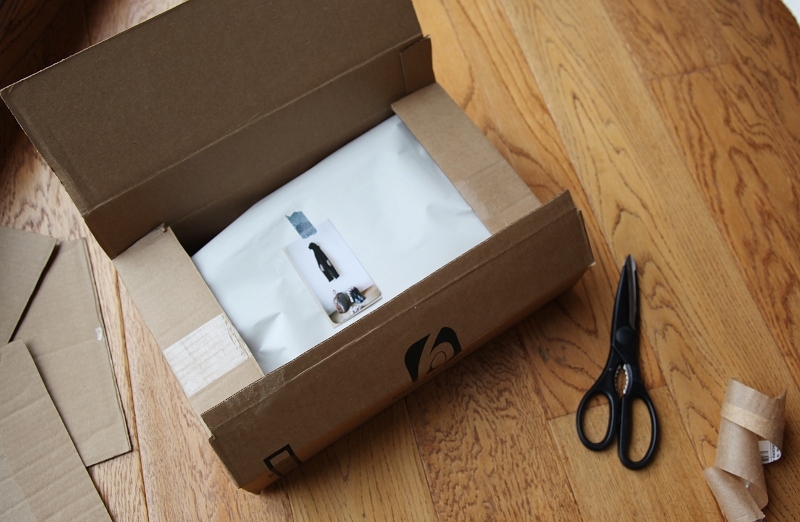 Now you can seal your shipment and feel satisfied with your resourcefulness! I remember my first few attempts at this resulting in some slightly odd looking (though still useful) boxes. With a little practice, and precision with your measuring, it is pretty simple and doesn’t have to take long. I hope you’ll find this useful!